To ask Susan Hayes questions, please sign up. I just read both of the Wilde Series books and loved them. Any idea when the third book in the series will be released? I saw that you recently got a new tattoo. Perhalps you were inspired by Nick Wilde =) Is Nick's book next? Thank you for asking and I am so glad you are enjoying my Wilde boys. I am working on Wilde Ink, Nick's story right now and should have it in to my publisher at the end of the month. If they accept it, you can expect to read about Nick and Chicago PD Detective Lia Archer around November 2014. Hi, Susan I love the Wilde Series(my guilty pleasure!) Are you going to write about Jared? If you are, can you say when we can expect the book? Thank you and Happy Hollidays! We’d love your help. 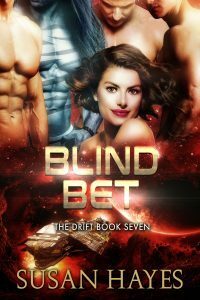 Let us know what’s wrong with this preview of Blind Bet by Susan Hayes. "As I continue on the journey of this amazing series I am never disappointed with Susan’s ability to take you into her world and never want to leave. Her characters are relatable and sassy. A must read!" We’d love your help. Let us know what’s wrong with this preview of Tarjen by Susan Hayes. We’d love your help. Let us know what’s wrong with this preview of Tainted Shadow by Sadie Haller. We’d love your help. Let us know what’s wrong with this preview of Prime Minister by Ainsley Booth. Rosanna wrote: "Thank you so much for the wonderful ratings my on books, Susan! Can't wait to read yours. :)"
They were a pleasure to read! I really need to find some selkies of my own.